This year’s Harvest Fast Day is quickly approaching,! 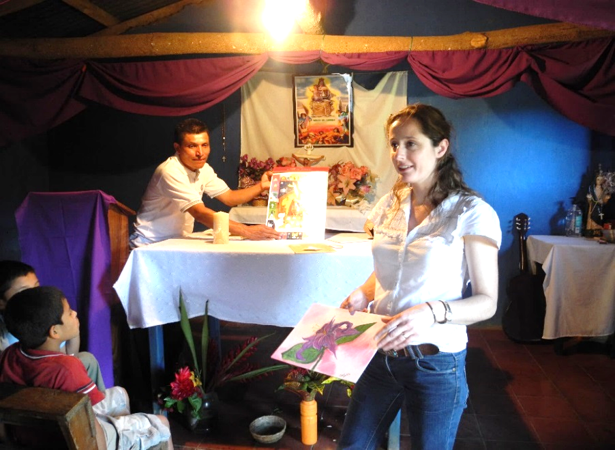 CAFOD Birmingham will be holding two sessions on Saturday 23 September in High Wycombe or Saturday 30 September in Oxford, so you can find out more about how CAFOD is making a difference in El Salvador. 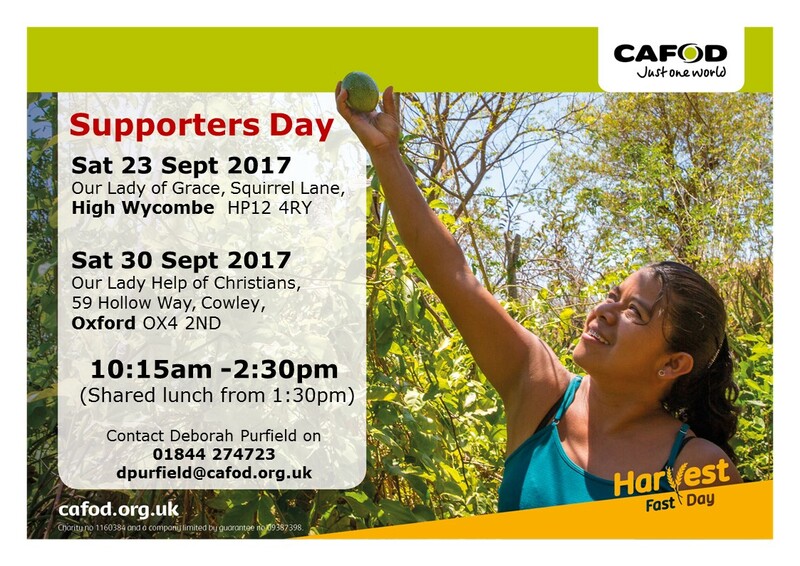 Tania Dalton – CAFOD’s Latin American team (High Wycombe event) will be sharing stories of those we support in El Salvador and Bishop William Kenney (Oxford event) will be sharing his experience of Sudan and South Sudan. Both have worked alongside our partners there and have wonderful and inspirational stories to share! Please let us know if you’re planning to attend or would like more information by emailing dpurfield@cafod.org.uk or calling our CAFOD Volunteer Centre on 01844 274 723. If you can’t make it to any of these sessions, you can still join an online briefing on 20 September , 07:00pm ‐ 08:00pm or watch the recording afterwards. You simply need to register here in advance and follow the instructions in your confirmation email. Whether you’d like to speak at Mass, hold a Fast Day event or hold a simple soup lunch for CAFOD, we are happy to support you. There are many online resources available to you too, including briefing notes, which you can find here. We look forward to hearing from you and hopefully seeing you at one of our events! School Volunteer Phil Mayland reflects on his visit to St John Fisher Catholic College, Newcastle under Lyme to celebrate the 100th anniversary of the birth of Blessed Oscar Romero. St John Fisher Catholic College, Newcastle under Lyme, held a Mission Day on Thursday 20th July, to study and reflect on the life of Blessed Oscar Romero. Each Year Group focused on a particular aspect of Romero and El Salvador, and spent time preparing for an outdoor Mass on Friday 21st July. The school invited visitors from CAFOD and Missio to lead students in their preparation with each year group preparing specific parts of the Mass. Jo Boyce of CJM Music rehearsed the music with the school’s musicians and practiced the singing with all the students on Thursday. I was asked to work with Year 9 students, who prepared bidding prayers inspired by the life of Blessed Oscar Romero. Other year groups worked with the Art, Technology and English departments in designing Romero Crosses, creating large Murals depicting Romero and El Salvador and writing prayers and poetry. Mass was celebrated the following day. Fr Paul McNally, the school chaplain, concelebrated Mass with Fr Rob Taylerson and Fr Anton Madej. This was a very special occasion attended by the whole school and invited guests and was a fitting and memorable way to end the academic year. Join us at our Retreat on 18 November in Solihull to explore how Romero’s life and faith can inspire and transform our world. Charlotte, far left, has just joined our “Step into the Gap” programme. This week we met our new “Gapper” Charlotte Bray. We wanted to know even more about her and so she told us all about what inspired her to work with CAFOD. “Aspire not to have more, but to be more!” – Blessed Oscar Romero. This quote from Blessed Oscar Romero perfectly sums up why I decided to join Step into the Gap this year. I have just graduated from University, and instead of following the same route as my peers I decided that I wanted to take a gap year with a difference! I wanted to put my faith into action and dedicate a year of my life towards working for global justice. I am passionate about social justice so would love to be instrumental in helping the Catholic Church to embody Pope Francis’ vision of a poor church in solidarity with the marginalised. But more than that, I would love to help transform the whole world into one where people of all faiths and none are in solidarity with those living in poverty. So this gap year programme with CAFOD is the first step in what will hopefully become a lifelong journey for me. This quote by Oscar Romero perfectly encapsulates what I want to get out of this coming year with CAFOD, to become more, to grow as a person and to learn more about myself, my faith and the world in which we live, and hopefully inspire others in the UK to make a difference. But a little bit more about me…. I’m 21 years old and am originally from Hereford. I have just graduated from Durham University, where I spent the last three years studying for a degree in theology. This year as part of my work for CAFOD I am going to be placed at Newman University in Birmingham, where I will be raising awareness of issues to do with global justice among the staff and students. 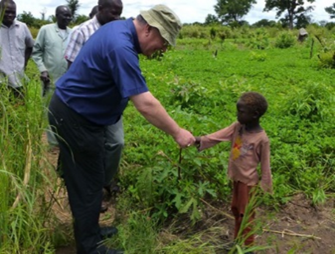 I have been involved in fundraising for CAFOD my whole life, both at school and church, so this year I am particularly excited to see first-hand the amazing work which CAFOD and its partners undertake around the world, both in the UK and overseas. I am particularly excited to meet CAFOD’s inspirational partners overseas which, from what previous gappers have told me, will be a challenging, but transformative experience. Keep in touch with Charlotte and the team of Step into the Gap volunteers – follow their blogs.